Our team at the Wirth Law Office – Tahlequah is here to help you get back to the life you had before someone else’s negligence left you flat on our back and in a lot of pain. 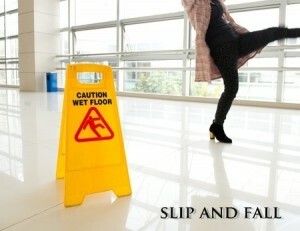 A Tahlequah Slip and Fall Attorney can review your specific situation and explain the law based on your case and the options available to remedy the situation. It is a free call with a knowledgeable personal injury lawyer so that you can get the answers you deserve, simply dial (918) 458-2677 or toll free at (888) 447-7262. Every business owner in Oklahoma owes the customer a basic duty and that is reasonable care to make sure that the property is safe for everyone who enters. If you have been hurt on slippery floors, bad chairs or broken stairs then you could be entitled to compensation for your injuries due to someone else’s negligence. If there can be gross negligence proven that caused your injury or where what is known as “wanton or malicious acts of negligence” that resulted in an injury to individuals, then there may be compensation paid to the injured party. In Oklahoma, the law can be tricky when it comes to the amount of damages that can be awarded. The reason has to do with a tort reform bill from 2004 that provides owners a defense against premise liability by charging ordinary negligence when someone was not authorized to be on the property. Our team can review your situation and see where your cases falls under the law. For a free, no-hassle consultation with a Tahlequah attorney, call the Wirth Law Office – Tahlequah at (918) 458-2677 or toll free a t(888) 447-7262. Or, if you prefer to send an e-mail, you may enter your specific legal question in the form at the top right of this page and our legal team will reach you by e-mail as soon as possible.